Bold accessory scarf for a pop of color. 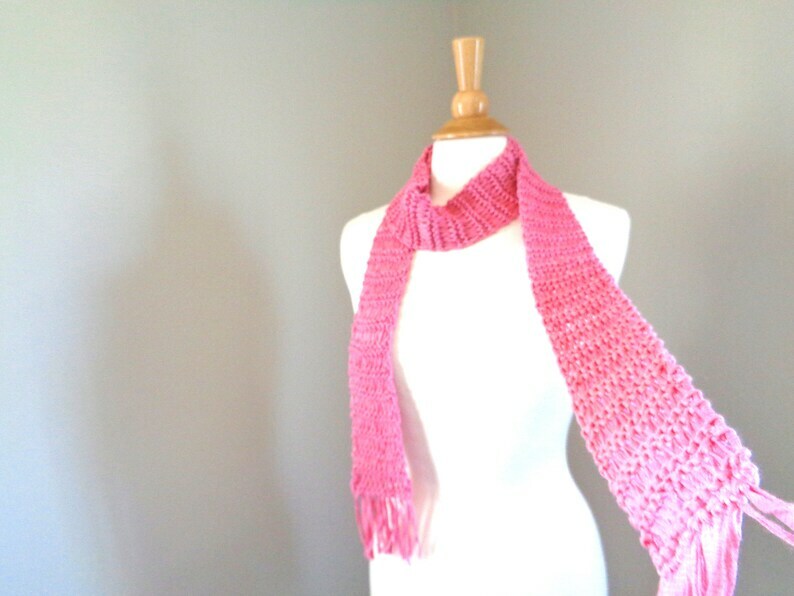 Super long and skinny thin scarf with fun fringe, knitted in bright pink cotton yarn. Great all season fashion - light weight and cool! Fun to dress up a tee, or a dress, great for the office too. Bright pink with a slight contrast thread, and a silky smooth cotton texture. Hand knitted with a lacy stitch with ridges. I allowed the color to be the focus. Fantastic gift - affordable, and you're supporting an American artist!